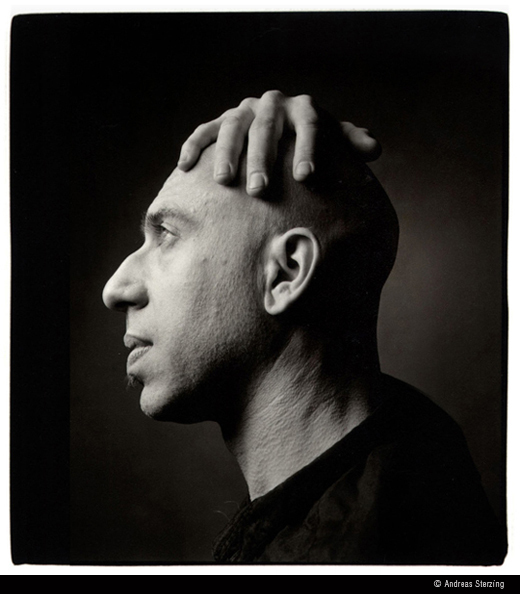 Friday, October 9, 2015 at 8:00 p.m.
Hallwalls Contemporary Arts Center is pleased to welcome internationally renowned composer/musician Elliott Sharp for a three-day artist residency project featuring a collaboration with the local collective known as the Buffalo Improvisers Orchestra (BIO). The program will feature Sharp's original compositions, including animated graphic scores projected on a large screen behind the ensemble. Mr. Sharp will also conduct a workshop with music students at Buffalo Academy for Visual & Performing Arts. This project is made possible with support from the National Endowment for the Arts and the New York State Council on the Arts. 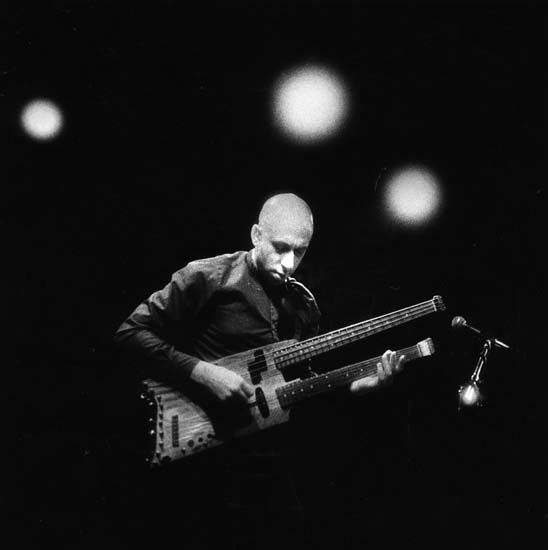 Elliott Sharp is an American guitarist, multi-instrumentalist, composer, and performer. Sharp was classically trained in piano from an early age, taking up clarinet and guitar as a teen. He attended Cornell University from 1969 to 1971, studying anthropology, music, and electronics. He completed his B.A. degree at Bard College in 1973, where he studied composition with Benjamin Boretz and Elie Yarden; jazz composition, improvisation, and ethnomusicology with trombonist Roswell Rudd; and physics and electronics with Burton Brody. In 1977 he received an M.A. from the University at Buffalo, where he studied composition with Morton Feldman and Lejaren Hiller, and ethnomusicology with Charles Keil. Sharp is a 2014 Guggenheim Fellow, and a 2014 Fellow at Parson's Center for Transformative Media. He received the 2015 Berlin Prize in Musical Composition from the American Academy in Berlin. He has composed scores for feature films and documentaries; created sound-design for interstitials on The Sundance Channel, MTV and Bravo networks; and has presented numerous sound installations in art galleries and museums. He is the subject of a new documentary "Doing The Don't" by filmmaker Bert Shapiro.